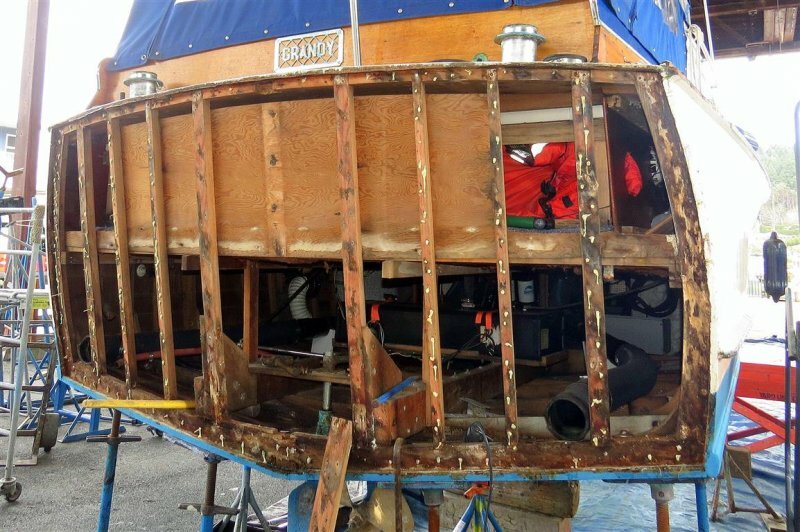 The owner of this classic 30-ft Grandy, Jon Kjaerulff of Gig Harbor, Wash., took his Express Cruiser to Gig Harbor Marina & Boatyard for a much-needed transom repair. 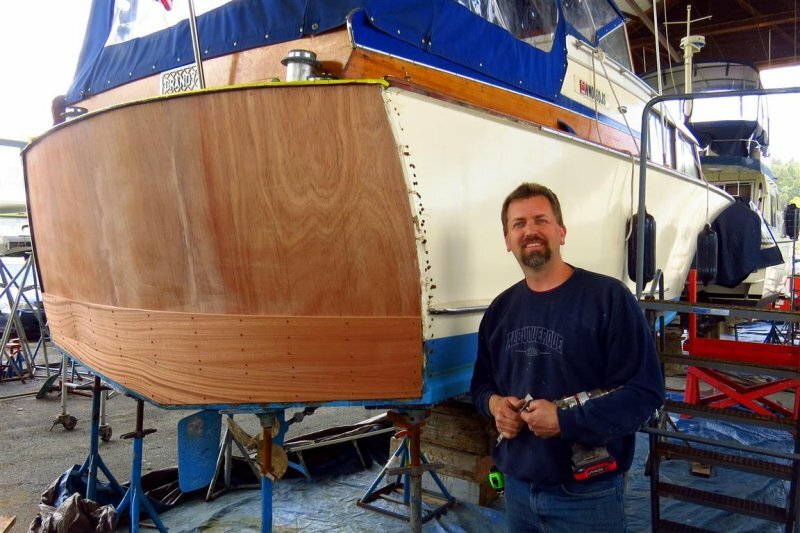 He was pleasantly surprised at the quality craftsmanship SELKIE received at the hands of John Iverson, boat wright and master woodworker at Gig Harbor Marina & Boatyard. 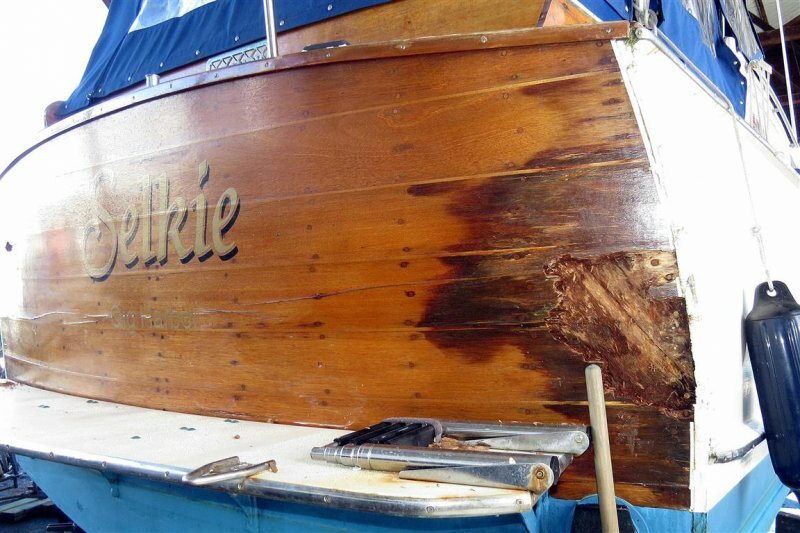 SELKIE had a typical “old-boat” leak at the deck level that caused the transom to rot. Iverson removed the rotten wood and hand-crafted and custom-fit the beautiful new sapele mahogany transom. Owner Kjaerulff, president of Fremont Maritime Services in Seattle, then called upon graphic artist Wm. 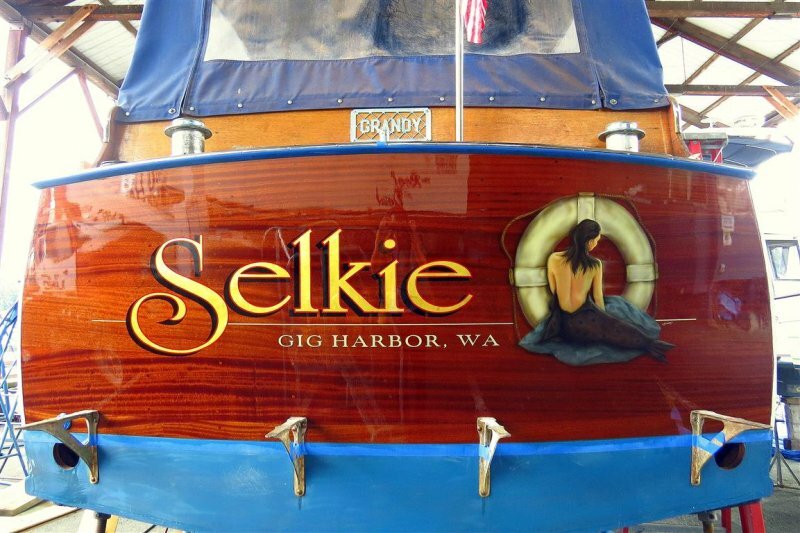 Mark Dalton of Bremerton, Wash., to hand-paint the graceful Selkie graphic and gold-leaf lettering on the richly grained transom. Kjaerulff found the Grandy on Craigslist in Tacoma, Wash., in 2007, and he and wife Maria renamed her SELKIE after the mythological creature from Irish and Scottish folklore. Selkies are said to live as seals in the sea, but shed their skin to become human on land. Now SELKIE, thanks to her stop at Gig Harbor Marina & Boatyard, has shed her old skin and assumed a beautiful new form.